It’s an adventure that forms an enjoyable whole by balancing a fantastical hero’s journey with current political events. 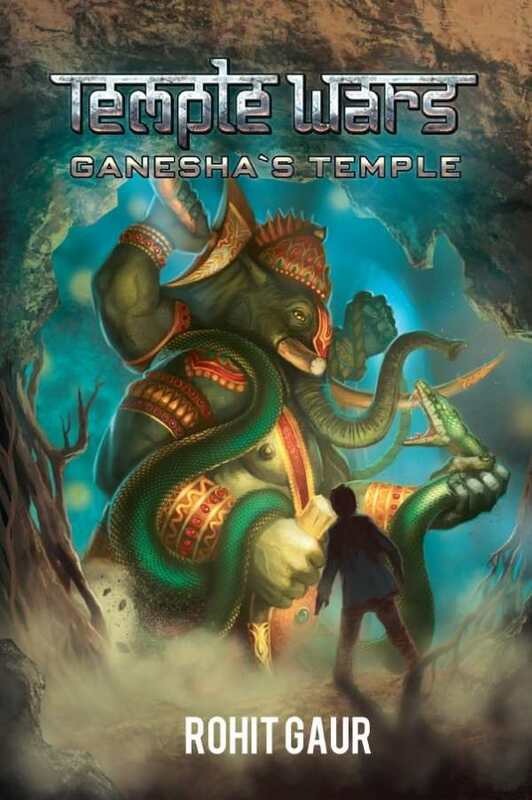 Rohit Gaur introduces an exciting new world in the first installment of his Temple Wars series, Ganesha’s Temple. A young teenager comes of age against a backdrop of political strife and war as he accepts a mission from a god in exchange for saving his kidnapped mother. Drawing upon Hindu mythology, the novel breathes new life into a genre filled with overused European-based landscapes. The younger son of the Kashmiri Chief Minister, fourteen-year-old Tarun Sharma lives in the shadow of his older brother. Feeling inadequate in the eyes of his family, he wants nothing more than to gain attention and notoriety. But when tragedy strikes at a festival, Tarun finds his wish granted, although not at all in the way he desired. In the bloody aftermath, Tarun must save his mother from terrorists. To do so, he strikes a deal with the Hindu god Ganesha. While the act is necessary, the risks are high. If Tarun takes too long to complete the mission, he may lose his human form, or worse, his life. Although Ganesha’s Temple is first and foremost a fantasy adventure, the incorporation of current global political conflicts grounds the narrative in the here and now. The choice to make Tarun the son of a political family opens a window into the realities of life in an unstable territory. The life-threatening danger faced by Tarun’s mother, Parvati, serves as a harsh but effective juxtaposition against his adventures in the Veiled Lands. Her plight keeps the importance of Tarun’s quest at the forefront, as her safety hinges upon his success. Less effective are the scenes told from the perspective of Tarun’s father, Arjun. While the portrayals of his efforts to find his wife and son are necessary, as are the glimpses into his handling of political instability, they pale in comparison to Tarun’s vivid adventures and the suspense inherent in Parvati’s situation. Nevertheless, Arjun remains a sympathetic character throughout, as his story line builds upon the fears of any parent and spouse. The inclusion of Indian culture, Kashmiri current events, and Hindu mythology is skillfully handled. Unlike other fantasy novels that incorporate non-Western elements, the world-building and setting feel natural and intrinsic to the narrative, rather than exoticized or fetishized. The various elements interlock with the plot in an organic fashion. In many ways, Ganesha’s Temple is a throwback to young adult fantasies from years past. Instead of following the angst-filled journey of a singular hero, it follows Tarun’s quest in context, as it moves alongside the respective journeys of his parents. While Parvati and Arjun’s plotlines are not as fantastical as their son’s, they too grow and change over the course of the book. In particular, Parvati’s relationship with a child insurgent provides a poignant counterpoint to the commonly held belief that all terrorists are driven solely by extreme ideologies. Despite being the first in a series, Ganesha’s Temple provides a satisfactory conclusion while leaving the door open for more adventures in this exciting world. Balancing both the fantastical hero’s journey and current political events, it forms an enjoyable whole that adds something fresh and exciting to the genre landscape.